Veneers - the answer to a more beautiful you! Enhance your quality of life - dental crowns. Comprehensive care under one roof. Rejuvenate your smile with dental implants! A healthier option that's metal-free. Comprehensive, personalized dentistry you can trust! A healthy smile makes all of life’s experiences that much more enjoyable. Whether you’re interviewing for a new job, socializing with friends, or sitting down to a delicious meal – a healthy, beautiful smile enhances the way you feel about every experience. This makes your choice of dentists an important one! 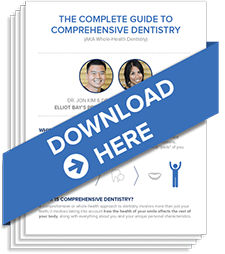 Why should you choose Elliott Bay Dental? Our philosophy is simple: every smile is attached to a real person. We are truly interested in You! We promise to never rush your consultation–instead, we take our time, ensuring complete understanding of you and your individual needs and goals. We want you to be an active partner in your treatment! Many dental practices offer “comprehensive” dentistry, but Elliott Bay Dental lives up to that promise. With several on-site specialists, we’re able to complete most dental procedures in-house. This simplifies your life while allowing the Elliott Bay dental team to monitor all stages of your treatment. We want you to feel confident and absolutely secure while in our care. Our practice is founded on honesty, integrity, and putting our patients first. We fully believe you deserve to know all treatment options upfront so you can make informed choices about your oral health. In addition, we are tremendously confident in what we do. Each Seattle dentist in our practice proudly stands behind their work. At Elliott Bay Dental, we care about you as an individual and promise to always treat you like one. Give yourself the gift of a healthy smile. Contact our practice today! These custom digital downloads were created exclusively for our patients. Download yours today! 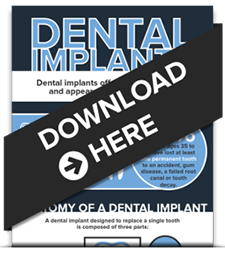 What You Need to Know About Dental Implants The Complete Guide to Comprehensive Dentistry. Ask us about our Zoom! In-office whitening. Our philosophy is simple: Every smile is attached to a real person! We truly enjoy getting to know our patients and want you to be an active partner in your treatment. With several on-site specialists, we’re able to offer our patients truly comprehensive dentistry, completing almost all procedures in-house. Going to the dentist should be easy. At Elliott Bay Dental, that’s exactly what you’ll find. Contact our practice today!